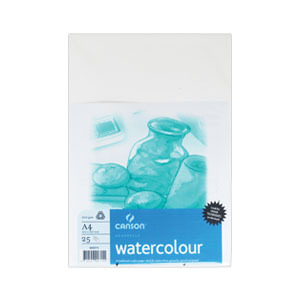 Canson Aquarelle Watercolour Paper is made from 100% cellulose fibre with surface sizing. Canson Aquarelle Watercolour Paper provides an economical way to begin your journey into the art of water colour techniques, without the high expense of other watercolour surfaces. Suitable for water colour studies or final works, Canson Aquarelle Watercolour Paper is great for beginners and budget conscious artists.